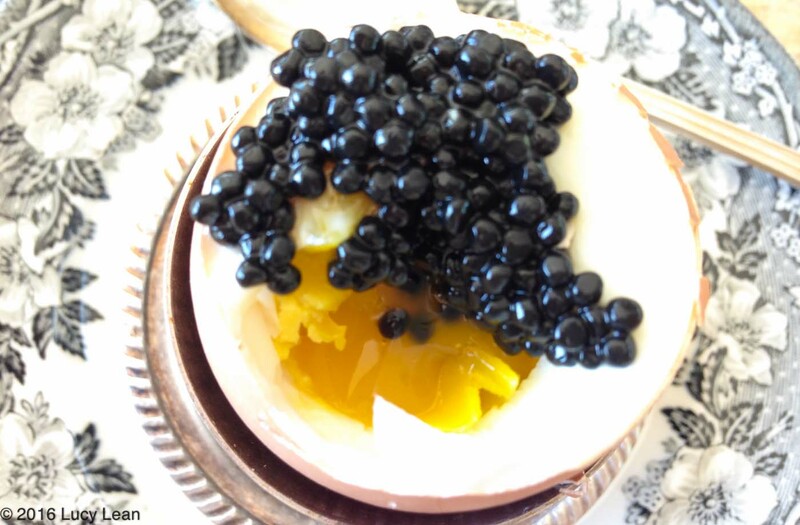 Ever thought about eating caviar for breakfast with a goal to Get Lean and healthy? March is National Nutrition Month so it’s all about setting up great habits of Lean Luxury to follow every day. 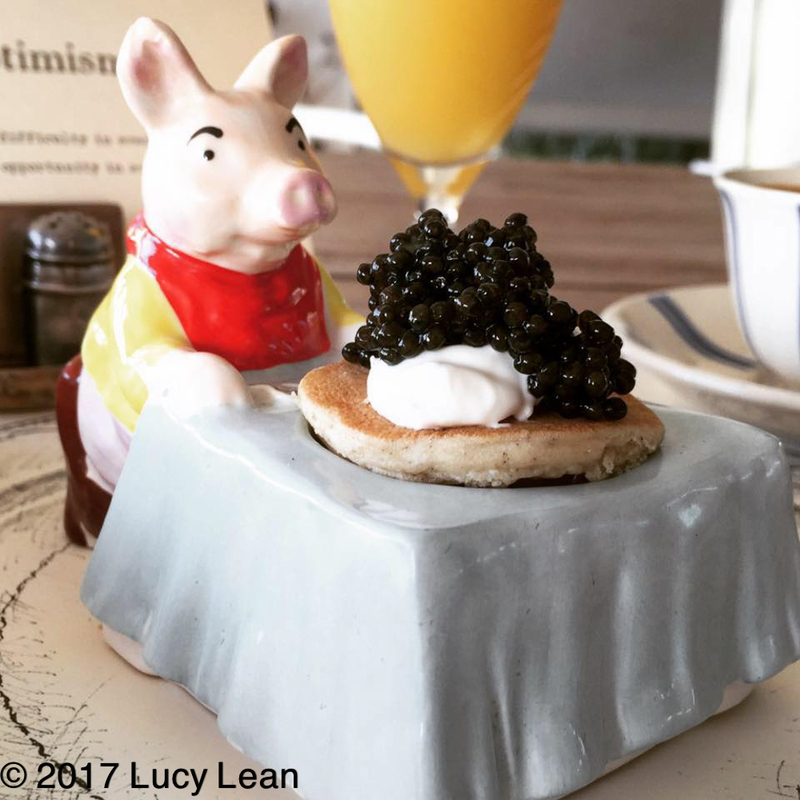 If you think it all sounds rather dull and boring – limp lettuce, granola that a horse wouldn’t want to eat and lots of egg white and spinach omelets – think again. It’s time to live it up with Breakfast Trays fit of a lady and get Lean at the same time. 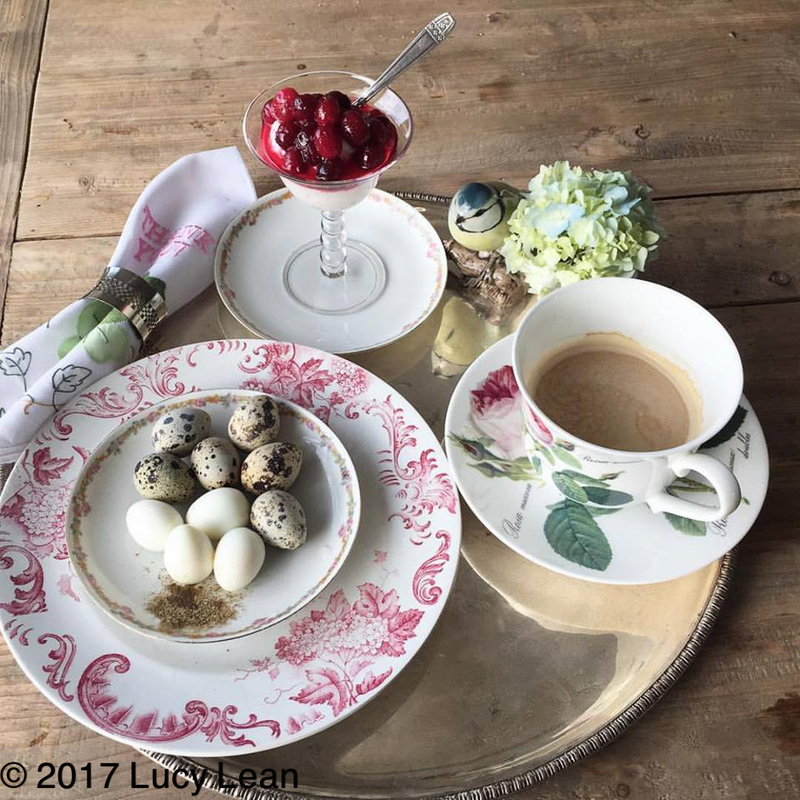 Here’s what I do to lose weight and get Lean- some tasty and exciting breakfasts that will have you jumping out of bed in the morning, unless you are lucky enough to have someone who brings you breakfast in bed. 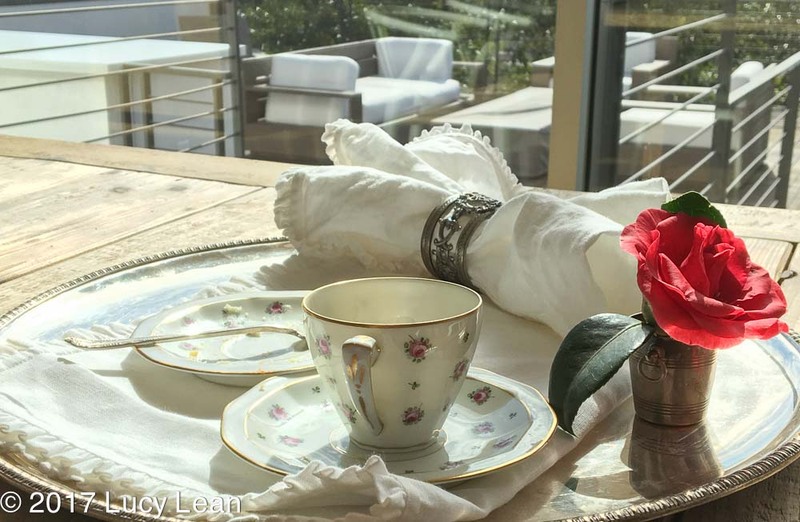 Let’s reset and get healthy and at the same time add Lean Luxury to our lives. For me it all starts with a healthy breakfast packed full of lean protein. Now I love cake, chocolate and cookies as much the next person and I’m a huge carb fan but everything in moderation right? And I’m planning on lots of Malibu beach time this year which means no more baggy clothes covering up all those extra layers that seem to have grown a little more than I had realized. 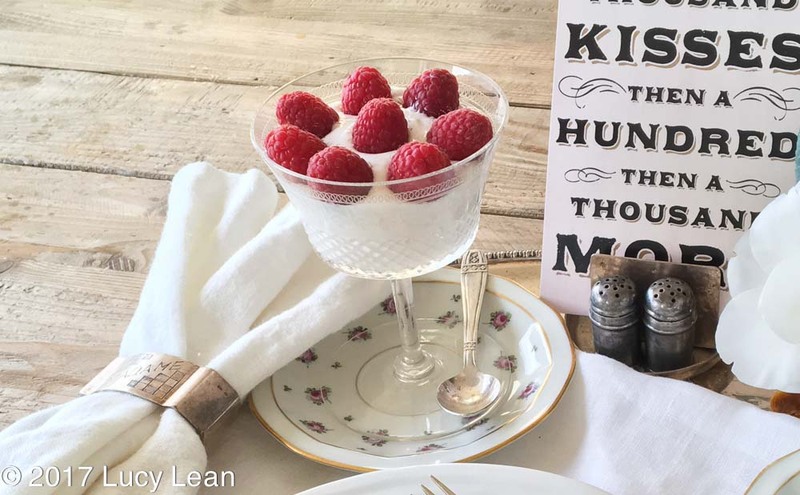 So never fear – if you too are thinking it might be time to shed a few pounds as we shed layers of clothing and expose more skin I have a wonderful solution – Lean Luxury. Healthy eating has never been so luxurious and healthy – a treat for your eyes as well as your taste buds. 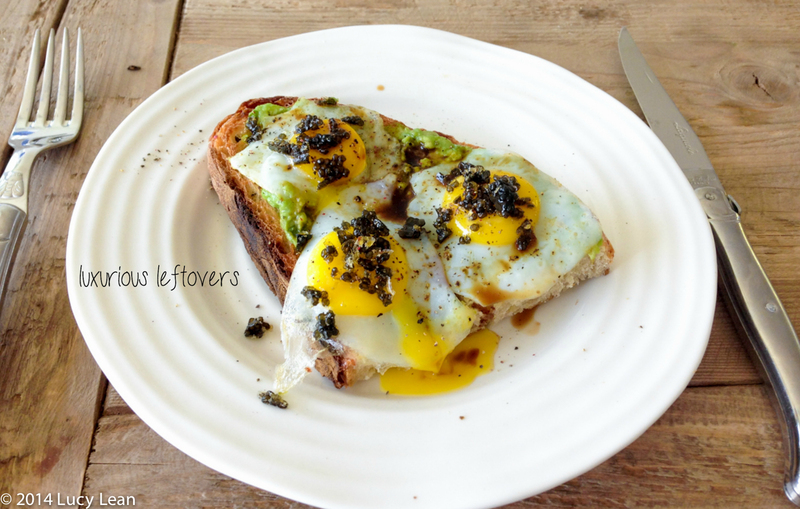 I’m a big fan of eggs for breakfast – not just because they are packed full of protein but because it’s a quick and easy way to whip up a healthy breakfast in very little time. 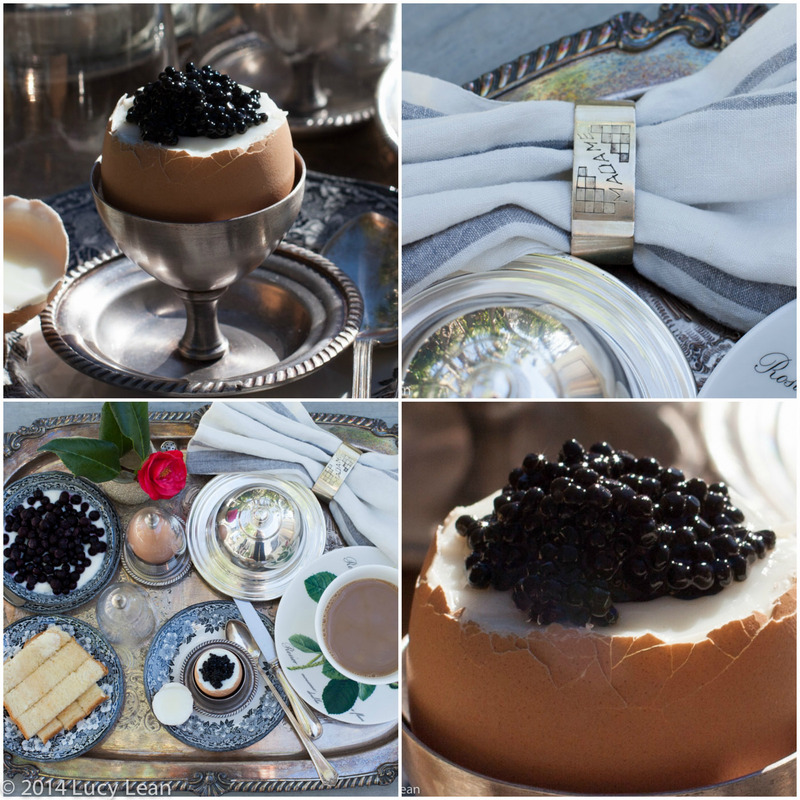 I’m also a huge fan of adding eggs to eggs – as in topping a boiled egg with caviar – nothing like it for the most luxurious start to the day. 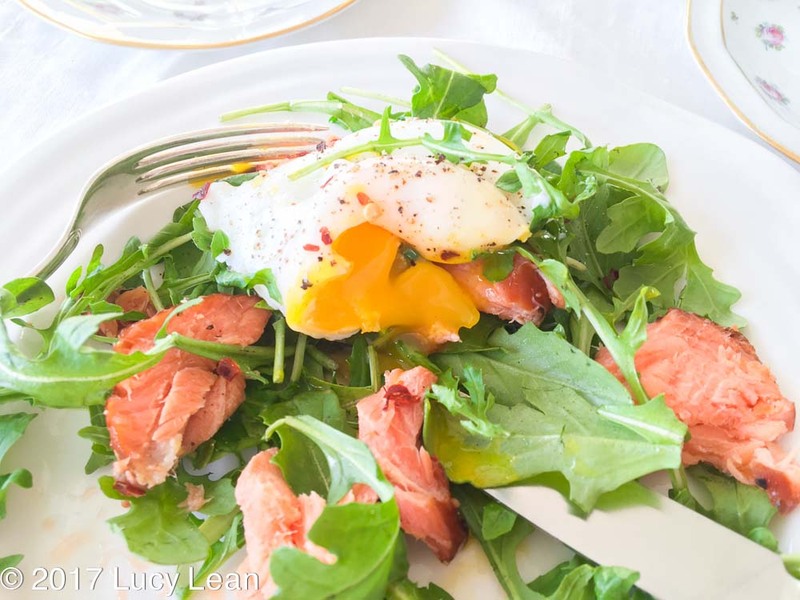 Poached egg on top of microgreens – add smoked salmon for that extra Lean Luxury. 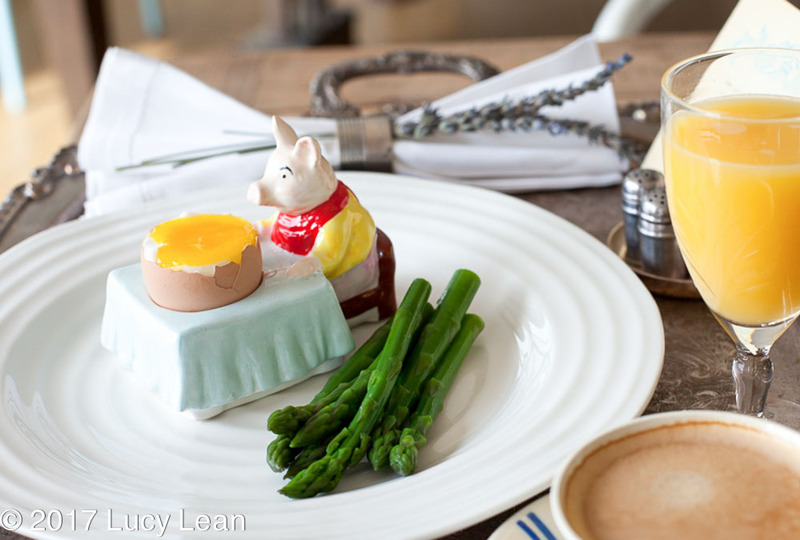 You can find ideas on what props to include on your breakfast tray fit for a lady here. And please check back often as I”ll be posting my breakfasts as I go – as well as recipes and how to’s. 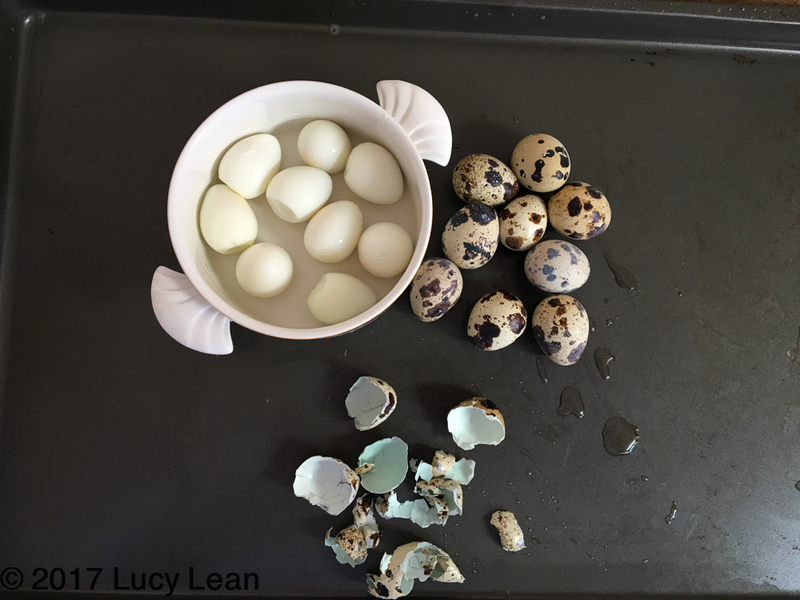 In the meantime check out how to poach an egg, how to scramble eggs and how to boil an egg. – fresh organic preferably free range farm eggs – the kind that are deep yellow almost orange. – a great addition to any breakfast – either over microgreens with a poached egg, shredded on top of a boiled egg or with scrambled eggs. – makes a lovely topping for yogurt – like for a healthy version of a French patisserie tart without any guilt. 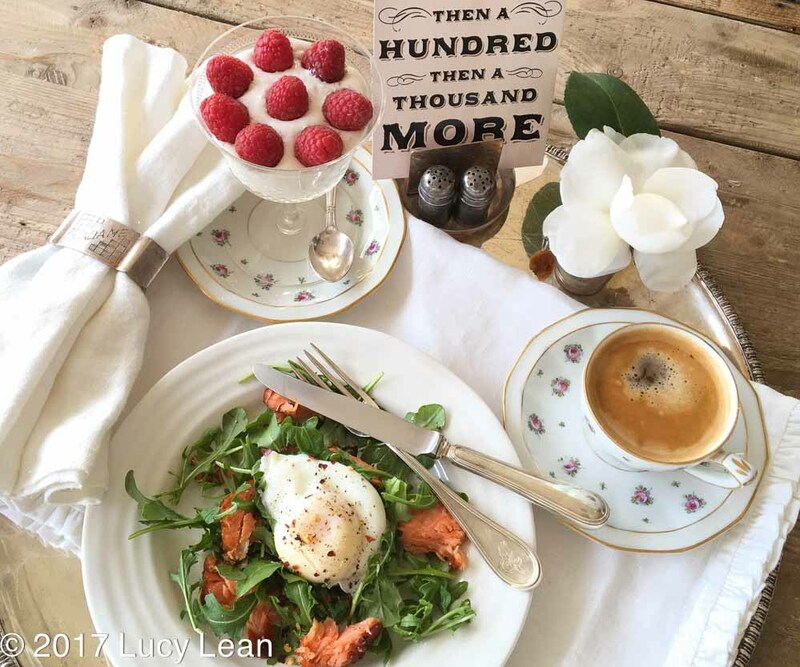 Obviously if you are going all out for weight loss skip the toast, fruit and the juice and stick to the eggs, caviar, salad, veggies, yogurt and smoked salmon – I promise you this is a recipe for a healthy you. I will be sharing pics as I go and look forward to hearing what you do with these building blocks. Don’t forget to snap that photo before you being – nothing like a before and after pic when it comes to weight loss. Keep me posted – we are in this together.